Ice Kush Marijuana is a feminized hybrid strain that is ideal for outdoor cultivation due to its fast harvest and high resistance to fungi. Of medium power and citrus taste. This quirk of nature comes from a cross between a selected strain from Afghanistan and another one from South Africa, concretely, a Sativa that gives a performance boost to the Indica Kush. As you can imagine, Ice Kush is a well balanced hybrid strain between Indica and Sativa Marijuanas, where the Kush part provides the speed of flowering and the robustness of the buds. Ice Kush is available in the feminized version and has a fast flowering. It is ready in just 7 weeks in indoors and in outdoors it can be harvested in late September making it especially recommended to be planted in Northern Spain or in wet or cold areas. Besides that, Ice Kush is a mildew resistant plant. 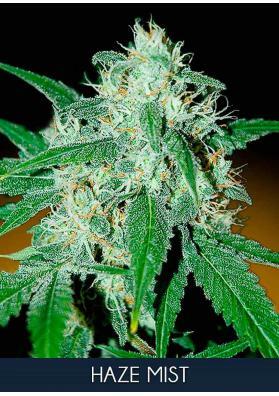 The effect is very well balanced having an average power, thus, Ice Kush can be consumed during all day. The THC level is of 16% and the CBD level is high. It has a citric and strawberry flavor mixed with fruits being very appreciated by tasters.